Sometimes the church is its own worst enemy. We allow things......meaningless things, to become the desires of our hearts, and to divide us. Walk in to any church in the country, and you'll most likely find a group of people who worship with at least one of these things in a place of high importance. For example, there are those denominations that typically use the liturgy in their service. They clearly value tradition. Many people choose a place to worship based on the style of music used in the service....an example of preference. Some churches have choirs, others do not. In those churches with choirs, some wear robes, some do not. Some denominations have national systems of hierarchy and organization, while others run rather simply and independently. Some Christians make the sign of the cross when they pray, others don't. Some people won't set foot in a church without donning the best things hanging in their closets, while others shuffle in in shorts and flip flops. Some churches affiliate with a certain denomination, others are more general. This list goes on and on. It seems to me, that while nothing is inherently wrong with these things.........they aren't necessary. I find myself more and more keenly aware of things that we do out of tradition or preference that have a way of becoming too important to us.......have a way of becoming prerequisites for worship. I have a litmus test for this. My theory is, the gospel and plan of salvation is very, very simple. It is accessible to everyone. The indwelling of the Holy Spirit and the peace and joy that brings is something that anyone can attain if they only believe......and none of the aforementioned things can affect that. My litmus test is this: If a person out in the sticks.....in the bush in a foreign land can receive the gospel and worship in full, genuine faith without something....then that something isn't a necessity.....it's a comfort. A tradition. A preference. Let's face it, in the United States and other first world countries, we are extremely fortunate. We have much, and we take it for granted. But all over the world, there are Christians with steadfast, tested faith who worship very differently. Some of them don't have a building in which to worship, let alone a multi-million dollar facility complete with a coffee shop and bookstore. They would give anything just to have four walls and a dirt floor. Some of them don't have instruments to use in worship. Some of them don't even have bibles......because they're not allowed to. No buildings, no praise band, no bibles, no choir robes. They have next to nothing compared to what many of us enjoy.....and yet they worship with a vibrant and genuine faith in the Lord. Having nothing else.....needing nothing else.....wanting nothing else, makes one rich in their desire and pursuit of Jesus. Having worked in churches for several years, I have heard my share of complaints. I've seen people leave the church and refuse to worship over the smallest of things.....things that meant nothing......things that were matters of tradition, and preference. They allowed these things to become more important to them than worship itself. They reached a place where they, in fact, couldn't worship without these things. The key here, is that worship is integral to our faith, so it's not a huge leap to see how these things affect not only worship, but our faith as a whole. I recently read this post by blogger, Benjamin L. Corey from his blog, Formerly Fundie, entitled "10 Ways to Determine If Your Christianity Has Been 'Americanized.'" Wow, what a read! It said a lot of the things I think in my head all the time. In case you hadn't noticed, Christianity in America looks differently from Christianity in any other country in the world, largely due to our unique and distorted perception of a marriage between faith, country, and politics. This may sound strange, but I have this recurring vision. It's nothing earth-shattering or prophetic....nothing like that, but it comes to me often. It's short, but powerful. In it, I am in a dark room.....the room is completely black save for a small ball of swirling, bluish silvery colored light. I am drawn to that ball of light. As it spins and twirls, it cast wisps of light around the room and it has the sound of a hiss......like whispers. In the vision, I walk slowly towards the ball of light, slightly crouched, and with both my hands out in front of me.....like I'm about to pounce on it, but really.......I'm just so drawn to it that I am fixated on it.....I want to hold it.....tightly. I don't know how else to describe what this swirling, hissing mass is other than to say that it is truth.....the truth of Jesus.....the core. Often times, this vision comes to me after I've just experienced something that angered me because of its pettiness or insignificance. I think to myself, "Is this part of the core of Jesus? Does he really care about this?" The answer is usually no, and it doesn't take any time at all to arrive at that conclusion! But all that stuff......it's just noise to me....a distraction from what is actually true. That stuff fades to black in my spirit, and I am simply focused on the light......craving it....cradling it...... In an odd sense, it's very much like the affection Tolkien's Gollum had for his precious. This visual has become my retreat when I hear and see others focusing on things that don't matter, which, sadly, is seemingly more often than not. Each time I find myself retreating to this vision, I feel like a child running to their parent to be shielded from the boogey man. His truth is my safe place.....and I rest there. I'm no perfect Christian, but I do think that, by and large, we Christians....and dare I say, American Christians, royally muck up what was designed to be the most simple plan ever. I'm so over it. I'm tired of it. Simple is not supposed to be hard. Simple is not supposed to be a cacophony of trivial nonsense that's been blown into false importance. I do not believe that this is what Jesus wants for his church, and because I am his follower, it is not what I want either. But....do you know what I do want? I want the faith of someone in the bush. I want a faith that finds its foothold solely in the promise of salvation. I want a faith that doesn't allow me to get caught up in obnoxious political diatribes and die-hard causes that Jesus wouldn't give one rip about. I want a faith that doesn't make me look like a cookie-cutter "trendy Christian." I want a faith that seeks and mirrors only the core of Jesus. I want a faith that doesn't require that I vote a certain way on hot button political issues to prove just how "Christian" I am. I want a faith that doesn't care what I wear to church, or that I even go to a church to sit for an hour a week, but acknowledges that I am the church everywhere I happen to be. I want the faith of someone who has nothing.....nothing but Jesus. Everyone loves a good "list post." So, I thought.....what would be an interesting thing to list? Well, I came up with this. Now, some of you may read this post and conclude that I'm a total nut case, but...... everything is say below is the truth, and I've never been one to shy away from the truth, so....enjoy! 1. Sometimes I'm paranoid that I'm being followed. It's totally unwarranted, but if I'm driving late at night (as I often do), and I notice a car that's been behind me for a while.....it's not uncommon for me to turn off and go in the opposite direction of my destination juuuuuust in case there happens to be a serial killer behind me......I mean really....I don't want to lead them back to where I live.....that would just be crazy! 2. You won't catch me in the cold & flu medicine aisle. When I'm shopping, sometimes I cut through other sections of the store to get where I'm going, but I refuse to cut through the aisle with the cold and flu remedies! Everybody in that aisle is sick! They're in there.....breathing....coughing.....sick, looking for medicine! Even if the aisle is empty, I'm not goin' in there! I'm no hypochondriac, but....why on earth would I willingly cut through that germ-infested aisle when I could pass through the hair care aisle instead and breathe in things like shea butter, rosemary, and random berries I've never heard of that grow in some remote rainforest somewhere? Random berries over germs - every. time. 3. I know it's Un-American, but I could totally live without peanut butter or cinnamon flavored stuff. You know......every once in a while when my 3-year-old leaves the crusts of his PBJ on his plate, I'll eat one and think...."Hmmm....peanut butter and jelly is pretty good, I should eat it more often!" But.....I don't. I don't eat peanut butter with a spoon out of the jar, I don't like peanut butter ice cream, I might have a Reese's every now and then, but they're not my favorite. Same goes for cinnamon - particularly cinnamon flavored gum. I actually like real cinnamon. The problem is that cinnamon flavoring never tastes like cinnamon.......and by the way, who decided that cinnamon flavored things need to be hot? 4. I LOVE candles.....unless they smell like food. I love candles. I truly do. In a recent post, I shared that candles are one of the things I love most about the décor in my home. However.....I really have issues with candles that smell like food! There are a few reasons for this. For one.....I don't want to feel like I'm sitting in a fruit basket all day.....I don't want to smell sugary vanilla beans and fruity concoctions. I don't want my house to smell like a coffee shop or a bakery. It's just my preference, but I prefer natural scents that mimic something light and fresh......rain, linen....that type of thing. There are lots of candles that have a mixed scent like....a fruit and a flower and some other element rather than one single scent. I'm not denying that some of these scents smell good, I just wouldn't want to smell that in my house all day long. Moderation, people! Just a sniff is good for me......I don't need to huff the stuff for long periods of time! 5. I shop from the back of the shelf. When I'm shopping, I don't always grab the jar or box closest to the front of the shelf.....I usually pick from the back. I figure that the ones in the back haven't been handled and touched and picked up and put back as much as the ones in the front......and....somehow that makes them.....better? I don't know. Don't judge me, I'm being vulnerable here! 6. To the left, to the left! Whenever I do things that must be done in pairs like.....put on mascara or socks or paint my fingernails or put on my earrings, I always do the left side first. I don't know why. I don't consciously think about it, it just.....happens. The same way. Every. Time. I can't explain it, but I can count on it happening! Strange, since I'm right-handed, but....there ya go! 7. I like chocolate, but I hate candy. Chocolate is one thing, but candy is another! Chocolate is creamy and chocolaty and smooth and melty and wonderful.......and candy is.......not. Candy is sticky and way too sweet, and fruit flavored candies never taste like the fruit they're supposed to be the taste of......candy is....clearly, inferior to chocolate. 8. Hold the frosting, please. I know, it sounds ridiculous, and I don't even know how to explain it...... It's not that I don't like sweet things, obviously I like chocolate...and cake....and... chocolate cake, but some things are just so sweet that they don't appeal to me at all. At our house, it's not uncommon to find a cake on the counter or in the fridge that's basically a half hollowed out, caving in, shell of frosting. My husband always knows when I've had some cake, because he opens the fridge and sees the promise of "cake" and then pulls it out, turns it around, and finds that there really isn't any cake.....just......a big pile of frosting! 9. Everybody Loves Raymond.....but not as much as I do! I have a really strange and really wonderful relationship with the show Everybody Loves Raymond. I don't remember when I first saw it or how I came across it, but what I do remember is that I loved it right from the get go because it is so real and makes light of situations and conversations that happen in everyday life. I probably watch this show everyday....or at least have it on in the background. I often have it on while I'm doing other things because, since I've seen every episode multiple times, it's just a familiar thing to have going in the background. As a musician, you might think that I'd just play music, but....not so. Music isn't passive for me.....it's hard for me to have music on and resist the urge to actively listen....analyze.....sing along, etc. Having music on when I'm supposed to be concentrating on something else is actually a distraction. Raymond? That's easy for me to work to! 10. If I think you're sick.......I'm not going to breathe your air. Again, not a hypochondriac, HOWEVER...... if you're walking towards me and I observe you coughing, sneezing, wearing a face mask (why do people even leave the house with those things on?!) or hear any trace of sickness in your voice, I WILL hold my breath while walking past you until you are at least 4 or 5 paces behind me. Sorry, not sorry - keep your germs to yourself, please and thank you! 11. I have an unusual obsession with the idea of house and home. Ok, this one is hard to explain. I love houses, and I love home. I like being at home in my house, and I like looking at other peoples' homes. I like knowing the spaces in which other people live. I like movies and TV shows that take place in houses. While others are focusing on the storyline of the movie, I'm looking at how the house in the movie is decorated......which color palette they use, what they have hanging on the walls, the pattern on their dishes, etc... Part of it has to do with my love for interior design, but a bigger part of it is that I just love the idea of "home." I'm a homebody. I like cozy. I like comfortable. I like sanctuary......but, if I drive past your house at night and see that you have the lights on and the curtains drawn, and I can literally see right into your house......I WILL slow down and drive past s-l-o-w-l-y so that I can look in there to see what it looks like! 12. I'm a classically trained musician who doesn't really like classical music. It's not that I don't like classical music, it's just that.....it's not my favorite. I don't feel it as deeply as I feel other types of music. I'm a classical soprano and I have been singing for most of my life. I sing a lot of classical and opera, and I'm good at it. I have sung (and continue to sing) some beautiful things over the years, and have had glorious experiences on the classical stage. However.....unless I'm studying for a performance, I don't sit around and listen to classical music. I don't have highfalutin conversations about classical music, composers, or music history. I know all that stuff, and I appreciate it....I mean, I have a degree in it for goodness sakes! But.....it's not where my heart lives. My vibe is R&B, soul, gospel.......and not that down-home, camp meetin', bible thumpin', banjo and fiddle type gospel - no, I like the gospel that stems from the hope and the pain of the spirituals.....and I like contemporary gospel that incorporates elements of R&B. Do I like classical? Yes. But only if I'm in the mood for it, which usually isn't the case. But give me a good melody with a heart-wrenching harmony over a smooth beat, sung from the gut with some real feeling behind it, and I'm all in! Classical is what I do, it's not who I am or what I love, and there have been times in my life when I have done things or taken gigs just because I thought it was expected of me to do so, not because I really wanted to and not because my heart was in it. It's hard, but I'm slowly learning to change that. Life's too short to try to live up to other peoples' expectations, even if they're just the expectations I perceive. I'm me. Just me. And that's a good thing to be! So, there you have it. This is, of course, not an exhaustive list, but......I'm sure it's enough to make some of you think that I'm a total loon. It's ok, you can think that.....just....don't cough in my general direction, and keep your grubby hands off my groceries, ok? Oh wait...on second thought....maybe I am a hypochondriac! 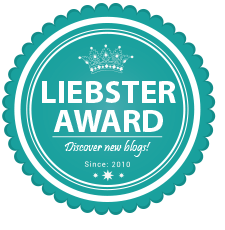 My blog is 1 year old! Well....a year and a month, but, you know.....I got busy and kind of missed the exact day (Sept 2nd). Better late than never, right? So, yes.....I have officially reached the one year mark. It's been one year since my very first post went live, and I've been hitting that publish button ever since. There have been many times when I hit that button and was scared to death of how my posts would be received. There were times when I hit that button and wondered if anyone would even care about what I'd just written. Whatever the emotion behind each post, I've never regretted anything that I've written, and that's a great feeling. I just wanted to send you all a HUGE thank you for supporting me in my first year of writing! I don't think I can explain to you how honored I am that you all take time from your lives to read my words and to comment and share your thoughts and encouragements with me. 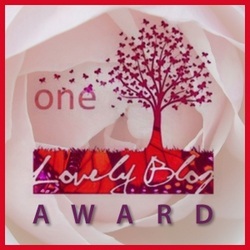 I am still learning (blogging has a serious learning curve!) but plan to continue blogging and, hopefully, get better and better! A lot of bloggers will, on the anniversary of their blog, make a list of their most successful posts and publish it for their readers as sort of a virtual trip down memory lane. It also helps them get more page views as those posts include links to several other posts on their site. I chose to go a different route. Rather than give you a list and have you reread my posts, I simply want to share with you the biggest piece of truth that I am taking away from this past year of blogging, and it is this: Be bold. Use your voice. Tell your story. You don't have to tell it all (some things should remain private), but don't leave out the ugly parts just because they're ugly. Tell them too.....tell them especially. Tell the truth - even if it's hard. We are all living, breathing stories, walking around this earth, experiencing many of the same things, but afraid to share the heartache we've felt and the lessons we've learned for fear of judgment. Hear me when I say this: Tell your story. Boldly. Your story is unique.....someone needs to hear it......and there is freedom in sharing. This blog is now part of my story, and it continues to be my honor and privilege to connect with you all in this way. I started this as a way to inspire and encourage others as well as express myself. I didn't get into this for recognition or money-making, although if that ever happens, so be it. Just know, that at the root, this blog will always be first and foremost about me striving to encourage, and uplift my readers through sharing truth. THANK YOU from the bottom of my heart! 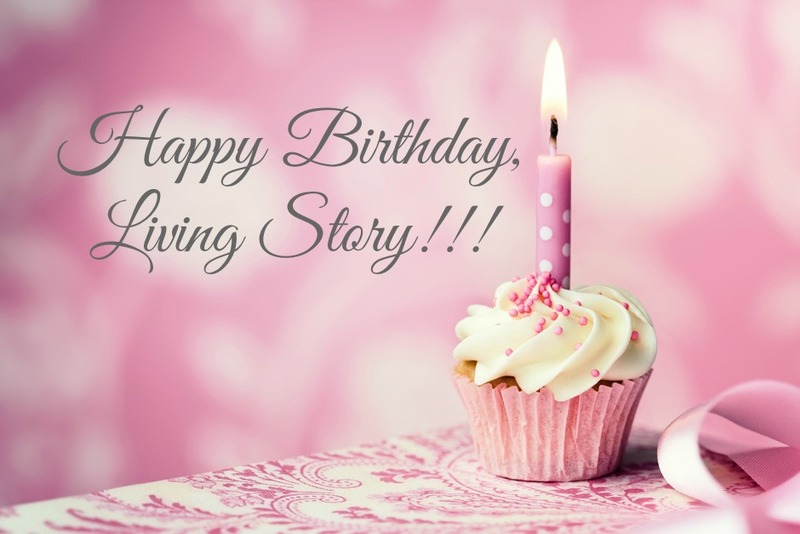 Here's to many more years of story sharing! Top 10 Things I LOVE About My Home! If you've been following my blog lately, you know that we just purchased our first home! We are so thankful, and feel so blessed. One of my favorite things about this whole process has been the decorating! I'm no HGTV pro, but I think I've got a little knack for it, and I really enjoy it. Even though I've always been into home décor, there's something special about doing it in a house that you own. Putting little finishing touches here and there make the place not just feel like home.....but feel like OUR home. I wanted to highlight a few of the things that help me accomplish this that anyone can do in their own homes no matter what type of space they're working with, because the things on this list are not things about the house itself that I love, (although there are many!) but things I've put in the house, and sometimes things I've left out, that make it homey. Lamps are a quick and easy way to warm up any space! Whether it's a table lamp, a floor lamp, or a lighting fixture that mounts on the wall or hangs from the ceiling, light = warmth, and warm = cozy and comfortable. We have one in our living room that I just adore. It's a functional piece of art....can't go wrong with that! In my kitchen I have 4 canisters that adorn my counter. As my husband and I are both of French descent, our home has French things all over it in one form or another. This is one place where we've chosen to showcase our love of French language and culture. The four canisters hold flour, sugar, tea, and salt. Each of these is written on the canisters in French. We didn't buy them this way - we first found canisters that we liked that matched our kitchen, and then ordered vinyl decals to apply to them - parfait! I know this is cliché, but....I LOVE candles! Lighting a candle fills the whole house with a warm, inviting scent and makes it feel like home! The fun thing about candles is that you can switch up colors and scents to go with any style of décor or even with the changing seasons. Funny thing about me, is that I do NOT like candles that smell like food.....I know....I'm in the minority on this one! I love a good candle, but one of my all time favorites, is Autumn Walk by Gold Canyon. It is like homey comfortable cozy goodness in a jar! Area rugs are great! You can use them as accents, or as a way to define space within or between rooms. Be careful to choose a rug that is the right size for your particular space - take it from a girl who bought a rug that was waaaaay too big, and had to exchange it for one that actually fit! A nice rug can really tie a room together, or, depending on your décor, be the focal point of a whole room. And, aside from looking nice, they feel good on your feet! I mean....c'mon....who doesn't love pillows?! They add instant character and warmth to any space. You can change the whole feel of a room just by switching out your throw pillows, and even change them seasonally if you like! Seriously......we bought so many towels when we moved in!!!! Not because we needed them, we just loved having bathrooms stocked with shelves of nicely folded, color coordinated, big, fluffy towels! Bathroom shelves are for more than just mouthwash, hair spray and deodorant.....throw that stuff in a drawer and put some nice, soft towels on display instead! Anyone who knows me knows that I am not a coffee drinker - I'm all about hot tea! Once in awhile, I switch it up with some hot chocolate or chai (which is technically tea underneath all that milk and all those spices! ), but generally - it's tea. My tea kettle is always out on my stovetop, whether it's simmering away or not, just seeing it there helps make my kitchen look warm and inviting. I'm always ready to make a cup of tea for a visitor, so come on over! This is kind of a given, but.....sprucing up your walls is a surefire way to beautify your home and help you enjoy your living space. In our home, we love words and writing......we have it on pillows, wall hanging, canisters.....and yes, on the walls themselves. I am a huge fan of vinyl decals and love the versatility they offer. You can have virtually any word, phrase, or picture put directly on your wall. They are easy to apply, easy to remove, and an inexpensive way to achieve a really classy look. Choose something that inspires you or encourages you....something that you won't get tired of seeing everyday. Off the top of my head, I can think of only 2 rooms in my house that don't have writing in them in some form or another - and I wouldn't have it any other way. Remember that line in the movie, The Proposal, when Sandra Bullock says that she doesn't like flowers in the house because they remind her of funerals? Well.....love that movie, and love Sandra, but....I couldn't disagree more! I LOVE having fresh flowers in the house! I always keep a vase of fresh flowers on my dining room table - usually daises or sunflowers, and usually yellow or white. Fresh flowers add so much brightness to a room, and they are gorgeous to look at! They bring a little bit of the outside, inside. Yup. You read that correctly. It may be unconventional, but in all of our married life (11 years and counting!) we have purposely never had a TV in our bedroom. It was a decision we made before we got married. We like to use our bedroom for other things and as a place to relax, read, talk, and focus on each other - not on a TV screen. Now, this doesn't mean that I don't occasionally take my laptop to bed to watch something on Netflix, but the focal point of our bedroom isn't a TV screen, and I love that! So, there you have it - my list! Wanna see these items in person? Well.....you'll have to come to the housewarming party for that! But I do hope this list gives you some ideas about how to put some of your own personal touches on your home to make it warm, comfortable, and inviting - not just for guests, but for you as well. Bottom line - do what makes you feel most comfortable in your home. After all.....you're the one that has to live there! Got any other ideas to add to the list? Leave a comment and let me know - I'd love to hear from you! Until next time, be well, my friends! I've known you for a few years, not very well, but, as we're both musicians, I see you quite frequently for gigs around town here and there. I always love seeing you, and enjoy keeping up with you and your life as one of your friends on Facebook. I can tell from the things you post that you and I hold different opinions on things, and I'm ok with that, because differences in opinion don't really matter all that much, and they're certainly not reasons to not be real life friends. But, do you know what does matter that much? The desire to be a peacemaker. Since you are, as I am, a professing Christian, I would think that these things would be important to you, but I have to say that when you deleted my comments on your latest post, you really changed my opinion of you and, sadly.....reaffirmed the very thing that I believe is destroying our nation. Today, you reposted someone else's post of several pictures of President George W. Bush with members of our military.....shaking hands, saluting, visiting the wounded at their bedside, etc... Underneath these pictures was a caption reading "Have you seen pictures like this in the last 7 years?" Implying that our current president, President Barack Obama, doesn't shake hands, salute, visit, or generally associate at all with our service men and women. If common sense isn't enough to make you aware, a simple Google search will reveal that this simply isn't true of our current president. Clearly, the intent of your post was to shame this president and/or show your disapproval of him. That's fine. That is your right. But doing it by implying falsehoods is.....pretty low. Since you are a Facebook friend, you know that I do not talk politics on my page and rarely, if ever take sides on hot button issues. My politics are my business, and yours are yours, however, truth......that is something that should be important to all people no matter what their politics are. So, in an effort to speak truth, I responded to this question of "Have you seen pictures like this in the last 7 years?" by saying that, while I wasn't choosing sides in saying this, I had, in fact seen pictures like that in the last 7 years, and I proceeded to post several pictures of Barack Obama doing exactly what it was your pictures had shown President Bush doing....shaking hands, saluting, visiting the wounded. In my comment I asked why today, of all days (It is 9/11 - Patriot Day) you would choose to post something with the intent of causing division.......choosing sides....pitting parties and affiliations against each other.....defaming a person with an implied statement that wasn't even true. I posted my comment and my pictures, half expecting them to be deleted or met with a nasty response. And in just a matter of minutes, you did in fact delete them. I must say, I was extremely disappointed, but not surprised. Rather than have your opinion challenged, you would choose to delete truth? You would rather spread lies about someone you don't like instead of spreading truth that reflects well on both the former and current presidents and highlights our service men and women? You would delete my comments so that the hundreds of friends that see your Facebook page would be denied the ability to see that truth? Why? Why did you choose that? Why would you willingly perpetuate lies? Why would you choose to foster division and finger pointing over peace, on a day when we remember our country's most unifying tragedy? I'm not here to talk politics, or compare administrations.....I could make long lists of pros and cons for both these men, but that is not the point. The point is this: all other issues aside, your post implied that President Obama, unlike President Bush, does not associate with, appreciate, or respect our military, and no matter how either of us feel, that is clearly not true - whether you like the man or not. The fact that you would choose to promote untruths that are meant to polarize us over the truth, speaks volumes to me. What does it say about us as a people when promoting our own opinions, agendas, and false statements becomes so much more important to us than actual truth, that we will literally, and intentionally, DELETE.....erase.....cover up.....hide.....and discard the TRUTH? As a Christian, this saddens me. The bible talks about exchanging the truth for a lie. We are called to be salt and light in this world. We are called to be peacemakers. We are supposed to be lovers of truth. Jesus said that he is the truth.......and you deleted the truth. I don't know how to reconcile that. I don't know how you can. This won't keep me from being your friend.......I mean, I won't unfriend you. You might unfriend me, but that's up to you. I still care about you and like keeping up with you and your life, but I do hope that in the future you will show more integrity when posting things to your page. And for the sake of Christ, choose to promote truth.....even when you don't like it. When I graduated from college, my husband and I married two weeks later, and then a month after that, we moved to the city where I had accepted my first teaching job. We were young newlyweds, excited to begin our lives together. Like many fresh college grads, we were poor! We lived in a modest 2 bed/ 1 bath apartment. We didn't have much. When we moved there, all we brought with us in terms of furniture was our bed frame, mattress, and a black leather recliner. That's it. Slowly, we began to purchase things here and there to fill our small space. I remember one day, finding a table and 2 matching chairs for our dining area. I loved that table and chairs, in fact, I still have the table. Eventually, we purchased living room furniture from a rent-to-own place. I distinctly remember writing out a check for $99.04 each month to pay for that furniture. It was really fulfilling and felt very "grown up" to be able to pay bills each month: furniture, utilities, student loans, etc... Then came the time for us to buy a new car. We went to the lot to see the husband of a friend (and reader!) of mine who worked there. We went with the intention of just looking......and later left the lot with a brand new car. Every month, $466.67 was deducted from my account to pay for it. We affectionately named this car "Betsy," and we still have her today. With just the two of us, we lived very comfortably, only having to pay rent and a few bills each month. We had plenty of money left to do fun things like go out to dinner.....go on short vacations, etc... We lived this way for 7 years......just the two of us. It was wonderful. Then one day, we made Betsy's final payment. She was ours, totally paid off, free and clear! One of the things we loved to do together was just to sit and talk.....to dream. One of our dreams was to own our own home, and we'd spend time just talking about the things we'd want to fill it with, what kind of floors and wall colors we'd choose......all those things. It was great fun. We were always sort of looking at rental houses, not seriously like we were ready to move, but just sort of as something to do to keep an eye open as to what was available. One day, we came across a Craigslist ad for a rental home. It was on a street we weren't familiar with, so we plugged it into the GPS and drove by. The house had a sign on the front lawn with a phone number on it. We called. A few minutes later, we had arranged to meet the landlord to take a look inside the house. As soon as we opened the door, I fell in love! I loved that house.....I loved everything about it.....the paint on the walls, the decorative ledge in the living room with the vaulted ceiling, the hard wood floors, the tile work in the master bath, the general layout of the house.....I just loved it all! We quickly learned that we were not the only ones who loved this house - there were others who had inquired (in fact, already applied) to rent it. Having just paid off our car, we decided it would be a great time to take the next step, and move into a house now that we had an extra $466.67 in our pockets each month. The rent was about $600 more per month than what we were paying at the apartment, and we figured if we applied our car payment money, we could afford this place. The process went quickly and within a week, we had signed a lease and moved into this gorgeous 3 bedroom/3 bathroom home..... I was in heaven! I wasted no time hitting my favorite stores to start decorating our new home. Having just paid off our car, and, a few years prior, our living room furniture, my credit was pristine. I had a fantastic credit score, and not a smudge on my credit report. This came in handy when it came time to fill this new house. I opened a Kohl's card....because I love that store....I bought throw pillows for the furniture, art to hang on the walls, dishes to fill my wall of kitchen cabinets, area rugs, bathroom accessories......you name it. If I liked it, I bought it. One of the perks of having a house was that we had a laundry room....in the house.....that was just ours.....that wasn't coin-operated. So, we went to Best Buy where I opened an account and bought a beautiful washer/dryer set. I also bought a Dyson vacuum. As the months went on, I realized that my credit was so good, that I could be approved for any card I wanted, and not only would I be approved, I would be given a very high credit line. I opened an account with Amazon.com, and another with Sears, The Sears card had the highest limit of all, and could be used anywhere, not just in their stores. So I did. I used it. I used it at Pier One and Ross to buy large, expensive decorations to fill that beautiful ledge in the living room. I used it a lot. Then I remembered that when I was in college, I had opened a Capital One card that I kept only for emergencies. When I realized that the card was still active, I started using it, too. Just like that, I had a house, and 5 credit cards with high limits with which to furnish it........and I did. Years later, I would learn that my husband was totally unaware of my spending habits. I did ok for awhile.....when the bills came in, I still felt that same feeling of accomplishment when I sat down to pay them.......until the payments started to become more and more expensive. By this time, I was pregnant with our now 3-year-old son and was working 3 jobs. I gave up one of my jobs teaching music part-time, and things were still ok......until I hit 35 weeks, and I gave up my 2nd job in retail to prepare for the baby to come. I kept my job working as Director of Music at a local church, taking maternity leave when our son was born. So here I was, in my new, beautifully decorated house, with my perfect baby boy.......and now, income from one job instead of three........and the bills from 5 credit cards, plus my student loans, and our more expensive rent. And, of course, our utility bills were considerably more expensive living in a house than they were living in an apartment (where we were only responsible for paying for the electricity). I juggled it for awhile.....making the minimum payment.......not paying one bill each month so I could pay the others.....but eventually, I started getting notices in the mail......calls on my phone. I was getting further and further behind, and these people wanted their money. I even got behind on my student loans.. My parents were even getting mail and phone calls at their house from lenders looking to get their money back. Over time, I just.....stopped paying the bills. I paid the rent, and the utilities, bought diapers and formula, and that was it. The mail kept coming, and so did the calls. I got at least 5 phone calls a day from a bill collector looking for what I owed. The mail for past due bills came so frequently that I couldn't even keep them straight. I knew they were important bills and that they needed to be dealt with, but I also knew that I simply didn't have the money to pay all of them. We just weren't bringing in enough money now that I had become a stay-at-home mom. This financial hole I had dug was getting deeper and deeper. We were bleeding money. . We sat in our lovely home, broke. I know everyone has financial struggles, and although my situation wasn't as bad as the one in which many others find themselves, this was still fairly extreme. I started looking for things around the house that I could sell off for extra cash. I started a local Facebook group where mothers in my area could get free baby food and formula, because at upwards of $25 a tub, we were spending a lot of money on formula. The stretches of time in between paychecks seemed infinite. On the outside, I seemed fine....I was my normal, happy self. But on the inside......I was crumbling. I didn't know what to do. There was even a time when, after having a distraught, tear-filled conversation with her, a good friend of mine, whose family I know for a fact has considerably less income than we do, came over to my house, and brought us a meal because we were running low on food and payday hadn't come yet. I always made sure the baby ate well, and sometimes that meant we sacrificed for that to happen. Not only did she bring us food, she gave us money. In cash. Although it wasn't a lot by some standards, it was money that I know was a huge sacrifice for them. I don't know that I've ever experienced the love of Christ in a more real way than I did that night. This person.....who had so little....loved and cared for me enough to sacrificially give us what we needed. Now, I'm not disparaging the way people give, in general. Donating money, providing meals and supplies for various charities and ministries, etc....all those things are great, and to be commended.......but most of the time, the people who do those things can afford to do so without any major affect to them, financially. This was not the case with this particular friend. I knew that her giving to me, meant that she was denying herself and her family something. It remains one of the single most humbling experiences of my life. What's more, is that this particular friend used to be a student of mine. I was her high school music teacher. She, who had sat under my tutelage had become my dear friend, and, in this moment, my provider. During this tumultuous time, the Lord really worked on my heart. I was in prayer....asking for help....for some relief...... Over time, God revealed to me the real issue at hand. The issue wasn't that I didn't have enough money. The fact of the matter, is that I had brought this upon myself. The issue, he revealed.......was pride. How had I not recognized this demon in my life? I was living outside my means, yet I still wanted everyone to come and see my beautiful house. I wanted to host everything - Pampered Chef parties, 31 Bag parties, Norwex parties, play dates - all so people could see my house. Anyone who knows me knows that I love to plan and throw parties. In my new home, I threw them all the time. Once, as an avid and unashamed fan of Michael Jackson (may he rest in peace), I threw a party in his honor, just for fun. I threw it in August, the month of his birth. We played the Michael Jackson game on the wii.....I made favor bags for my guests, complete with not one but two CDs of his music (one for greatest hits and one for lesser-known songs), and, among other items, the obligatory glittered-white glove. I even had a cake specially made in his favorite colors: red, black, and white, and I had ordered posters to hang all over the house. I went all out.....that's just how I do! I wanted to be the party house, not just for the fun of the party, but because I wanted everyone to see my house. I was proud of it. I was focusing on all the wrong things, and when that reality hit......the reality that I was overcome by pride.....by materialism.....it hit me hard. It was like a knife in my chest. Was I really this person? I hadn't thought so.....but there I was, being that person. I couldn't believe it.....I couldn't believe myself. In general, I would never label myself as a prideful person, but in this case, there was no denying it. I was disappointed in myself, and disgusted with myself. I was completely convicted. After several months of this financial struggle, we decided we needed to move - we had to. We could not afford to stay in that house, with those expenses, and less income (not to mention all the debt I had incurred that I was not paying). At this point, I was fully aware of this presence of pride in my life. I had faced it head on. I had pleaded with God to forgive me and to change my heart. After a time, I began to notice myself letting go. I remember saying to my husband, "What good is it if we have this big, beautiful house if we sit in it broke and stressed out all the time?" And slowly but surely.....a change began to take place in me. I began to crave simplicity. I didn't need all the bells and whistles......all the fancy things I had spent several hundred dollars on, just so they could literally sit on a shelf to be looked at. I wanted less, not more. I wanted enough, not excess. I have to tell you, and hear me when I say this to you: The mentality of simplicity is freeing! There is freedom in giving things up.....giving them over. Less really IS more! So, we moved. God worked it out perfectly. We found a simple home that was very small, but offered everything we needed. It wasn't big or fancy...it wasn't new or impressive, but it was enough. We went from 3 bathrooms to 1 bathroom - enough. From 2 stories to 1 story - enough. From an automatic opener in a finished garage to a manually operated door in an unfinished garage - enough. From hard wood floors to worn linoleum and old carpet - enough. When we moved in, we got the ok from our new landlords to change a few things to update the house a little bit and make it our own. Fresh paint, new blinds and light fixtures really added a lot of charm to our new cottage-like home. As this house was considerably smaller than our previous home, we had to get rid of a lot of stuff. Stuff I had spent a lot of money on, I gave away, donated, or sold cheaply, just to be rid of it. I cleaved to my family, and focused on spending time with them and making memories rather than focusing on what our house looked like. I spent more time developing my relationship with Jesus and asking him to help me in all areas of my life. I also started this blog during that time. I took stock of what was truly important to me in my life....and guess what.....what was truly important to me, was not my house, and not the stuff that filled it. We were now paying about $400 a month less in rent.......but I still had all that debt hanging over my head. The mail and phone calls remained incessant. Then one day.......it came....the thing that hit me in the gut like a power punch - a court summons. I could not believe my eyes! One of these credit card companies was actually going to take me to court to try and get their money back? I was shocked. I texted my husband, in fear - what was going to happen now? I knew I didn't have the money to pay this bill. What followed next was one of the most real and intense things I have ever felt in my life - shame. Deep, inconsolable, regret-drenched, abyss-like shame. This was all my fault. My pride had grown so large, that I had dug this hole for myself, and now, the proverbial chickens had come home to roost. I cannot adequately describe what I felt. This shame was like a huge secret that I didn't want anyone to know about, and it was eating me up from the inside. I was, what I like to call, in a funk. I didn't want to go out and see people. I was so upset, that I couldn't even speak about it on the phone to close friends who knew something was going on, but didn't know what that something was. There were times when I was weeping so intensely that I nearly hyperventilated. My mind was consumed with this debt that loomed over me, and the dark cloud of shame that engulfed me. I spent time thinking about what would happen if I couldn't pay this debt. Would they sue me? Garnish my (already insufficient) wages? I beat myself up over having put myself in this position, and while I hadn't intentionally kept it from my husband, he was completely unaware of how I had actually acquired all the "stuff." I lamented over how my once pristine and stellar credit had been tarnished in a seemingly irreparable way. I ruminated on how I had made such foolish choices, all for material, aesthetic things. I felt stupid. I knew I wasn't a stupid person, but because of what I had done......I felt stupid.....and so deeply ashamed. In those dark months, I thought back to our very first apartment. How small and simple it was....I thought about that dining room table I had bought and how proud I was of it. And the more I pondered it, I realized that my feeling for that dining set was not pride.....it was gratitude. You see, that table..... was a card table. From K-mart. It was a dark colored wood with a black, faux leather inlay. It wasn't really a dining table at all, it was a card table, with folding legs, and the two chairs I had gotten to match were folding as well. But....I loved that dining set because I remembered what it was like not to have a table and chairs......not to be able to afford them.....and I remembered the gratitude I felt about having a good job and being able to purchase a needed item for our new family of 2. That feeling.....the feeling of gratitude....felt so much better than the feeling of false pride. Being happy with something simple that I had earned, was so much more fulfilling than being boastful about something fancy that I had bought on credit and didn't really own......and couldn't afford. What I realized, is that I allowed fear and embarrassment to paralyze me. I knew I wasn't the only person in this situation, and yet I was so afraid of what might happen because I didn't have the money to pay my debt, that I did.....nothing. I let the debt sit there....unpaid....for a long time. I ignored the phone calls and mail, and did nothing until I was forced to. This is, unfortunately,not a unique situation, and comparatively, the amounts I owed were far less than most other people in similar situations. But, no matter what the amount, if you don't have the money, you don't have the money - makes no difference if it's fifty cents or fifty thousand dollars. I now realize that there are programs in place to help in such situations. How I wish I had had enough guts to deal with all of this sooner! In my pride, in my fear, and in my shame - God was faithful. God provided. Always. We had lived in this simple home for about a year and a half when, one morning, my husband randomly mentioned that he had made some calls and done a bit of research on the possibility of us buying a home. He had learned that, based just on his income and fabulous credit (since, although in repair, mine was still not where it should be) we could qualify for a decent home loan at a very reasonable rate. And then it began.....We were getting contacted by lenders. We started looking online to see what was available, and grabbing real estate magazines. I took a girlfriend and went to open houses on the weekend, making my list of "must haves" "nice to haves" and "dealbreakers" in the car on the way to each house. We crunched numbers with the lender, getting quotes for insurance, figuring utilities, HOA fees, etc... Eventually, we hooked up with the realtor referred to us by a lender. We met with her several times to look at homes. . We made an offer an one house that was humongous......in fact, it had so much room, we weren't even sure what we would do with all of it! That offer was heavily considered, but ultimately rejected after a few counters back and forth. A good thing, in retrospect. Then we made a second offer......and it was accepted. My prayer from then on always contained the phrase, "I remember, Father. I remember the lesson." Whatever my plea was......for patience.....for his will to play out, despite what I wanted.....I always made sure to include the fact that I had not forgotten the lesson I learned about my own pride and recklessness, and that I had no intention of repeating that terrible mistake. If you know anything about the home buying process, you know that it is long and involved, and nothing is final until you've signed on the dotted line. As we went through the process, I was excited at the prospect of owning a home, but didn't allow myself to get too excited just in case something didn't work out at the last minute. I prayed. I asked others to pray with me, and for me. In my prayers, I repeatedly assured the Lord that I had remembered the lesson I had learned. Each time the phone rang, or a new email came, I wondered what document was needed or what news the realtor had for us, and I feared that something would go wrong to kill the deal we were trying to make. It was a stressful time for us, but I was determined to let God handle it, and I determined to be thankful no matter what. Am I proud of my new home? You bet. But I'm not proud in the sense that I want to show off what I have, because, let's be clear, even though I own it, it isn't really mine. What I'm proud of is the transformation of my heart and the faithfulness and loving-kindness of God. He revealed to me a problem that I didn't even know I had.....a problem that I probably would have been quick to diagnose in others. He brought this issue to light, led me down a path of recovery and healing both financially and spiritually, and, in the end, blessed me with the very thing I wanted from the beginning. He was faithful in giving me the desire of my heart, but it required me to take a really honest look at myself, evaluate my situation, and make real, substantial, conscious, and difficult changes. I couldn't simply pray away the pride and the debt and the shame....I had to get on my knees, beg his strength, and actually DO something about it myself. I went from the gratitude of a cheap, K-mart card table, to the pride of a gorgeous rental home, to the despair of mounting debt, to the shame of legal action.........to the hope and redemption of seeing all those things - the pride, the despair, and the shame, melt away, and be replaced by peace in my spirit....joy in my heart....gratitude in the deepest part of my soul.....and awe at an amazingly good, forgiving and gracious God, who so perfectly knows me and loves me and provides for me.. So there you have it - one of my deepest, darkest secrets, and one of my greatest testimonies and life lessons, all parts of the same story. A story, by the way, that is still being written. The take away is this: Even in its enormity in my life, my sin still came as a surprise to me. It took me realizing it and actually implementing real change before redemption came. I had to make sacrifices, assume responsibility, and accept help. I had to admit my sin, and my part in creating the situation in which I found myself. Asking God to take it away wasn't enough - I had to change my heart, and in doing so, I saw the desires of my heart change to reflect the heart of God. Many of you reading this may be struggling financially. As I said earlier, this isn't uncommon, though the reasons behind it are varied. In my case, the struggle was self-inflicted, and at the root of it was sin. Sin to which I was completely oblivious. Why do I share this story? Well....I'm certain that because God has given me this testimony, there is someone that needs to hear it. I am praying that this story will be of some value to someone. Another reason I'm sharing, is that we are all sinners, but our sin is not always evident to us. This was a bit of a surprise to me.....I just had never thought about it all that much, but I'm encouraging you now - think about it. Pray about it. Search your heart and examine yourself and your life.....is there hidden sin? Is there something that is coming between you and the will of God that you may not even be aware of? Is it camouflaged as something else? It may seem a silly thing to ask, but it is possible.....trust me..
Father, I thank you for being who you are. I thank you for being good and merciful and just. I thank you for the blessing of a lesson learned, however hard it may have been. I thank you for the blessing of going through a difficult situation, and being able to see you transform it into something beautiful that glorifies you. I pray for all those reading these words that you would bless them in their walk with you, and reveal to them any camouflaged sin in their lives. I pray that they would take comfort in knowing that in all situations, you are in control, and you have a plan, even when we don't understand it.......even when we don't like it. Thank you, Lord, for the gift of your spirit. May it guide us as we genuinely seek you and your will. Amen. It has been a long, LONG time since my last past....about a month and a half, but I wanted to just check in with you to let you know that everything is fine! I'm in a busy season right now......we are attempting to buy our very first house! Bear with me, (and pray with me! ), friends as we go through this. We are praying that things go smoothly and that there are no significant bumps in the road during this process. Truth be told, I think my husband and I are both a little more stressed and apprehensive about this than we'd like to admit! Whatever happens, this I know: Jehovah Jireh is my provider. He has always made provision for us, and he is faithful. This whole thing is currently a HUGE focus for our family and when the process is complete, I will resume more regular posting......I already have some things in the works! Barring any unforeseen complications, we should have keys in hand in a few weeks. But, for now, I'd like to flip the script and ask YOU to share your stories with ME for a change! Any advice for first-time home buyers? Any funny stories from when you went through this? What's the one thing I need to know about owning a home? Please share! Really, you'd be doing me a favor.....giving me something else to think about! I love you all so much. You can't imagine what it means to me to know that you take time out of your busy lives to read my words! One thing that continues to amaze me, is the fact that no matter how much time passes in between my posts, when I check my stats, there is always steady traffic on my site. To date, since I've started my blog, there has not been a single day where no one has visited my site. That means that not only are you guys reading my posts, you are sharing them...liking them....tweeting them....pinning them. You all are fantastic, and I thank you from the bottom of my heart! God bless you......now.....start hittin' me with your homeowner stories and advice!!!! It's no secret that I work as a worship leader. It's a job I've held down for about 5 years now. It is an honor and a joy. It is hard, and not for the faint of heart. And.....I love it. I know that God has gifted me, and I love my calling and my job. Serving in this capacity is something that continues to shape me as a musician and as a follower of Jesus. It has also opened my eyes to some of the perceptions of music in the church, and the ways in which we perceive and understand worship. I wanted to address a few pet peeves bluntly and truthfully, but I didn't want to sound like I was complaining or condemning, so what I did was this - I made a list of things, and provided both a rant AND an encouragement for each one. This way, you get to know how I really feel, as well as some tips and thoughts on how to approach each one. I talked to some of my worship leader colleagues in other churches, even asking for proofreading to check my tone and content. I tell you all this so that you know I'm coming from a place of love and authenticity.....of problem solving and, most importantly, from a place that seeks to honor God, rather than just complaining and ranting! 1. We're not DJs on the request line - You don't have to like every song in the service - we don't! That song request you slipped me after church? It's the fifth one I've gotten this week. While I appreciate your input, I do hope you realize that worship is not about you and the songs you like. If you're coming to worship to sing your favorite songs, you're coming for the wrong reason. Sorry, not sorry. The songs chosen for worship are chosen with a lot of thought and prayer with the intent of facilitating a meaningful and cohesive worship experience.......for everyone......they're not chosen because you like them. If I had a dollar for every song I've led that I didn't like.....I'd have quite a stash - but that's ok, because it's not about me and what I like, and guess what.....it's not about you or what you like either. The sooner we as the body of Christ can come to this realization, the sooner God will smile on us for putting HIM above ourselves. Maybe you love hymns and can't stand another chorus of anything written by Chris Tomlin or Hillsong, or, maybe you love contemporary Christian music and can't bear the thought of another one of Fanny J's greatest hits. Either way, the next time you find yourself wishing to see one or the other in the worship set, and you find yourself reaching for a pen and a slip of paper to write down your song request, try this: Don't sing the song you don't like - just listen to it. Try to figure out what it is about that song that others enjoy. Is it the text? The music itself? The story behind the song? Maybe go so far as to talk with someone whose preference differs from yours about what they like and why, and see if you can find some common ground - not so that you both end up liking the same things, but so you can understand and appreciate what encourages and uplifts your brother or sister in Christ, and what brings them to a place of worship - there's your common ground! Although you may have had a frantic morning getting to church on Sunday, I can assure you that the worship experience you find yourself participating in came about a lot less haphazardly! There is a whole team of people who work very hard to put that together. They've been working on it for weeks....maybe even months.They are people, just like you. People with families. People with responsibilities. Many of them are people with other jobs outside of church. Many of them are volunteers. We welcome your feedback, but before you rush up to us to tell us what you didn't like about the service, or point out the glitch in the sound system (c'mon, do you really think we don't already know about it? ), please remember that what you've just experienced took the collective effort of many people who are only seeking to use their talents and abilities in the best way possible to bring honor to the same God that you know and love. We all want to give our best to God. We all want to do what we do with excellence. On the flip side, we are all human. We all make mistakes. We have good days and bad days. We have personal problems that sometimes distract us. We operate systems that sometimes malfunction. Things happen, and that's ok. You may never have thought of this, but a church is one of the most stressful work environments there is. Last year, in a very brief article, CNN listed Music Ministry Director as the #5 most stressful job that pays poorly. The point is, if something goes wrong, chances are....we know about it, and we're working on it. So, when the microphone screeches, or the video won't play.....when your hearing assist pack shorts out - use these things as an opportunity to show grace. Recognize that there is a huge orchestration of the efforts of many, human people who have worked hard and are currently working hard to create an experience of worship for you. Grace over annoyance. Grace over frustration. Just....grace. As I said earlier, it takes a lot of work to make sure thing happen the way they're supposed to on Sunday morning. That means, while you're praying, the worship team is moving into position for the next song, or while you're singing, the sound and audio techs are fixing a technical problem. You are probably unaware of all the fires that are being put out while you are busy worshipping. But this also means that the people dealing with all those issues need time away to worship. It's not uncommon for me to leave church after leading worship, and go straight to another church where I am just another person in the crowd, worshipping. I don't have to be in charge of anything, I don't have to make sure the slides on the screen are matching what the pastor is saying, I don't have to lead anything......all I'm there to do....is worship.....free of responsibility. Recognize that those whose work involves planning and facilitating worship for you and others are making a sacrifice. They are giving of themselves. They are serving. They experience the church in a unique way. As not only a church member, but a staff member, they know things you don't know. They see things you don't see. They are dealing with circumstances to which you are not privy. They balance a lot...budgets, scheduling volunteers, rehearsals, meetings, etc..... all the while working to serve a large number of people and not totally pleasing any of them because that is impossible. But the work they do, they do for the glory of God. And cultivating their own relationship with him is something that takes a certain amount of distance from the "work." Music is a huge part of worship, but it's not the only part. If you don't care for the song choices on any given Sunday, that's ok. You can still worship! Know why? Because worship isn't (at least it shouldn't be) something that happens exclusively in a church building on Sunday mornings and Wednesday nights. If you want to know how I really feel about this - check out this post. The bottom line is, if you come to church with a spirit of worship, not looking to be entertained....not looking to see what it is you can get out of the service, but rather seeking to bring a sacrifice of praise before the Lord.....looking to see what you can give, then you can worship anywhere, doing any number of things. Even if you have to mentally remove yourself during the songs you don't like so that you can focus elsewhere and worship in another way......it can be done. Worship is a beautiful thing. The ways in which we worship are shaped by many things.....traditions, preferences, understandings. Worship comes in many forms. Some forms are more familiar than others....more comfortable than others. But....what if we are missing out by not exploring other ways to worship? What if we opened ourselves up to things that result in us responding in worship? Think about that...... What if we thought of worship, not as something that we do in the church building on Sunday mornings, but as a response that we have....anytime....frequently, even? Challenge yourself to not limit your praise! Could not the truth of God's power, majesty, and love move you to worship? Could not the silent prayer and reflection on God's goodness and faithfulness move you to break forth in praise? Music is important.....but it isn't the be all end all. Don't miss out on all the ways in which you can experience God and respond to him just because they may be new or unfamiliar or initially unrecognizable as "worship." I don't want to sound like I'm fishing for compliments here but the fact of the matter is......being a worship leader is a hard job. We do this job, knowing that we can't possibly please everyone.....knowing that we will be criticized by someone for one thing or another from time to time. We put a lot of time and effort into what we do, and sometimes a simple "thank you" or "I appreciate what you're doing" is all we need to hear to balance out the burn out, the missed family time......and those blasted song requests! It's also not a bad idea to say thank you to your sound techs, audio visual team, custodian, etc... Seriously - try it. Say thank you....and mean it. Just say thank you. It really is that simple! Let your church staff know that what they do matters, and that you're grateful. Not sure what it is that they do? Ask them! Better yet, offer to help if you want a clearer picture of their responsibilities - there's always something to be done, especially in smaller churches. You'd be surprised how much making a few copies, answering a few phone calls, folding bulletins, or filing a few papers is appreciated! 6. Even if you can't sing.....we want you to sing! This is a hard one for me.....I mean......have you SEEN how many verses there are about singing to the Lord?! I can't tell you how much of a let down it can be to be up in front of the congregation during a song, and to look out and see people just standing there like they're in line at the bank. How is this even a thing? Sometimes, I feel like saying....."Bueller? Bueller?" Seriously....can you at least pretend to be remotely thankful for the fact that Jesus saved you from sin and death? I'm just sayin'...... If you get more excited about your favorite football team scoring a touchdown than you do about Jesus redeeming you - something is really, really wrong. One of my favorite things to meditate on in the area of worship is what we learn about the beings in heaven in the book of Revelation where it says, "Day and night, they never stop saying 'Holy, Holy, Holy, is the Lord God Almighty, who was and is and is to come." They never stop......heaven is filled with praise! Better get started now, people, or you're gonna be really disappointed when you get to heaven! I've read several articles written on this phenomenon of non-singing churches. Many of the authors say that church has become more of a spectator activity than a participatory one. It has - but it shouldn't. They blame this on things like worship leaders being too rehearsed - like a concert or performance meant to be watched, the music being too loud, and the songs being difficult, unfamiliar, and unsingable. Well let me tell you, I've been in churches where this is the case, no question. I have seen it time and time again......but I've also been in churches where this wasn't the case......and it doesn't have to be. It is truly a growing problem....mega churches with choreographed lights, fog machines, worship leaders' faces plastered on the projection screens......I get it....but not all churches and worship leaders are like this, and frankly, I find it a bit of a cop out to say "That person sings better than I do, and they have a microphone, and they're standing in front of everybody, so..... I'll just let them do it while I watch," when what you're really saying is "I'm insecure about my own singing, so instead of participating, I'm going to just stand here and listen." C'mon.....don't put your own insecurities on someone else. Let me let you in on a little secret about how I approach my role as a worship leader: God gifted me to do something, and I'm doing it. He's gifted you to do something too, and hopefully, you are. In the eyes of God, I am no more or less loved or important to his kingdom work than you are. This worship leading thing.....it's a ministry. It's not about me. What I do, I do for God's glory, not my own, not the pastor's, not the worship team's, not the church's - God's. Period. Do we rehearse as a worship team? Absolutely. Know why? Because we want to start and end our songs at the same time, sing them at the same tempo and in the same key, and know the melody. We don't try to sound like a track on a CD or the radio. We strive for an authentic, organic sound of genuine praise. You may be surprised to know that I do not audition members of my worship team. If someone feels called to this ministry and has a heart for worship, who am I to turn them away and say they aren't good enough? I have said this many times, and I will say it again: I would rather have a group of untrained, amateur singers who love the Lord and are worshipping with their whole heart up there on that podium with me than a whole choir of professional, stellar singers who couldn't care less about God and are up there to showcase their talents. Does this mean we don't strive for excellence? No, it doesn't......it simply means our priorities are in order. It means that while quality and excellence are important, they don't trump passion and authenticity. We're talking about the creator of the universe here, people.......if our hearts are not sincere.....he knows! On my team, we do not perform. We worship! When we're up there we WANT you to sing with us! We WANT you to participate. We are NOT up there performing songs for you to listen to, we are LEADING worship for you to participate in. That being said, I do realize that for some people, singing out loud in public is very uncomfortable....let me address that.... My theory on this, is that when people feel uncomfortable singing in public, it's because, when it comes right down to it, they're afraid someone will hear them and make a judgment about them and their singing. I see this as putting our own sense of comfort, and, dare I say it, pride, ahead of the purpose for which we were created. God doesn't want perfect pitch and flawless delivery, he wants a joyful noise.....a genuine, true outpouring of our hearts unto him. To stifle our praise just because we don't want to be heard by someone around us or because we're afraid we may not sound as good as our neighbor, is to withhold from God the very thing he desires most of us. "Let everything that hath breath praise the Lord" is......pretty self -explanatory. I've seen people with no voice worship with more passion than those that do - read about that here. I am certain that God doesn't care if you sound like Mariah Carey or The Sweedish Chef when you sing.....what he cares about, is your heart, and your willingness to worship him with full abandon of your fears and inhibitions. I get that maybe you're not the best singer. I get that maybe it freaks you out that someone might hear your horrible singing. But know this: you're only there, singing, worshipping one being......and it isn't the person next to you that you're afraid will hear you. I think of it this way....if I'm putting my fear of someone hearing me ahead of my desire to worship God....that's idolatry. In that moment, something (my pride) is more important to me than my worship. It's stopping my worship. I get it. It's part of our culture to let those who are good at something be the ones to do it. It's part of our human nature to not want to do something we do poorly in full view of others......but resist the urge to fall into that trap! When you come to worship, come to worship! There may be many bodies in the room, but your worship is between you and God. Period. His is the only critique you need to worry about. And.....if you've never seen a voiceless person worship in song....try it sometime....I promise you, it will change you! So, there you have it - my list of peeves, my rants, and my encouragements. As with everything I write, I hope these words are received with the spirit of love in which they were written. Like many posts I write, I could spend days revising and rewording things trying not to offend people or trying not to sound uncaring or trying to better explain what it is I mean to say......but at a certain point.....you just have to hit that publish button and put it out there. * When there is a song in the worship service that you don't like, there's another of your brothers or sisters in Christ who does. Worship anyway. * Hug a church staff member. * Be genuine in your worship. * Worship everywhere......don't let your pride hinder your praise! * Your worship leader has a hard job.......and they love it. Recently, one of the members of the band Lady Antebellum posted a picture of her bible on their Facebook page. No big deal, except that moments earlier, their tour bus had caught fire and everything was destroyed....except for her bible. "I just got this picture from the scene of the fire and HAD to share this. Today, when our bus caught on fire we had quite a few personal belongings in the back ...(where I was asleep before evacuating the bus) one of them being my Bible. I kid you not, EVERYTHING in the back lounge was destroyed from the flames, except my Bible. The outside cover was burned and messed up but NOT ONE PAGE was missing. Yall, God's Word will always stand. He is FOR YOU, WILL PROTECT YOU, AND HIS LOVE FOR YOU WILL NEVER FADE. My faith is forever deepened because of today. I hope this story deepens yours." "The word of God endures forever!" "Nothing on earth can destroy the word of God!" "This happened to me once.......Everything in the kitchen was burned except for the roll of paper towels. Praise the paper towels!" "Children are starving, people are being raped and murdered, but thank God your bible is safe!" I saw several of my Christian friends share this post on their own Facebook timelines. I read this post, and I was instantly filled with what I can only describe as righteous anger.....for so many reasons, some of which I will try to explain here, not in an attempt to defame, discredit, or bash Lady A in any way, but in an effort to point out what is truly important. First of all, let me say this. I am a Christian. I believe that the bible is the inspired word of God. I believe that the word of God is true and powerful and everlasting. However, I do not believe that God used supernatural intervention to save this woman's bible from being burned in order to prove a point, or to prove his existence, or to prove how good he is, or to prove the sovereignty of his word. I reread this post several times.....and I kept coming back to the part that says "He is FOR YOU, WILL PROTECT YOU, AND HIS LOVE FOR YOU WILL NEVER FADE." No one was injured in the fire, thank God.....but accidents happen everyday, and sometimes, people are injured.....or even killed. In those situations, are we to infer that God's protection was lacking? That his love just wasn't as strong for those people on that day? Of course not. Problem number one that I have with this post: When good things happen, we can't keep attributing it to God's love and favor and protection because when bad things happen, his love and power remain unchanged.......it's just that sometimes, bad things happen. I'm genuinely happy that no one was hurt or killed in this fire, but had that not been the case, I can't help but think that this post would have been a lot different, when the reality is that God's love, protection, and promise to be "for us" is there no matter how the situation plays out. We as Christians have to affirm these truths, always....not just when we're thankful that things seem to have gone our way. I'm reminded of the words from one of my favorite songs, Blessed Be Your Name. Some of them include: "Every blessing you pour out I'll turn back to praise. When the darkness closes in, Lord, still I will say, 'Blessed be the name of the Lord.' You give and take away; My heart will choose to say, 'Lord, blessed be your name.'" An even better example of this is the story in the book of Daniel about Shadrach, Meshach and Abednego being thrown into the fiery furnace. We seem to really love to focus on Daniel 3:17 " If we are thrown into the blazing furnace, the God we serve is able to deliver us from it and he will deliver us from Your Majesty's hand." But we often leave out the next verse, which I find to be an even greater testament of faith - "But if not, be it known to you, O King, that we will not serve your gods and we will not worship the golden statue that you have set up." Wow. Such faith! Our God is able to save us......BUT IF NOT.....Blessed be the name of the Lord! In other words, God is good....all the time.....in good times and in bad....and we should bless the Lord at all times, in all situations. A small amount of research will reveal that often times, bibles do not burn in fires. This is because bibles are usually very thick with pages, and also have a thick (often leather) cover. When a hot, fast-moving fire tears through a structure, things like wood and plastic burn quickly and melt easily, but leather takes more time to burn through, which explains why many times the cover of the bible may be a bit worn or scorched, yet the pages inside remain unharmed. I haven't taken a poll, but judging from the comments written on this post by firefighters and their families, you could probably ask any firefighter, and they're likely to tell you that they've rarely seen a bible burn to consumption. That being said.......bibles are made of paper. A very special kind of paper that allows for a book to contain a large number of pages that are extremely thin, and extremely strong. They actually contain fibers of cotton or linen to make them stronger than regular paper. I assure you, if a fire was allowed to burn long enough and strong enough, or if you had some lighter fluid and just really wanted to burn a bible, you could do it. You can even google it and see it done in a matter of minutes. Could God stop that from happening? Absolutely. But I don't think he would. Know why? Because the bible is just a book. There's nothing holy about the book. There is something holy about The Word. And The Word is not something we carry around in our purses or on our Ipads, it's something we carry in our hearts. This is why it will never pass away. This is why it is indestructible. This is why it is, as the book of Hebrews calls it, alive and active. So I read this post.....and the comments that followed it, on several different sites. And with each comment, I got more and more angry. People actually think the book itself is what's important. Let's remember, some of Jesus' most devout followers loved him and followed him before the bible was even written. Do people not know that some of the most God-fearing, vibrantly faithful people on the planet don't even own this book? That they're not allowed to? It reminds me of the group of people I reference in this post, who memorized portions of the bible because they were not allowed to have one. Knowing the word, and having it dwell within them was so important, that when they were denied the right to have a paper copy, they became living, breathing copies of the word of God. Instead of saying, "Hey, look at my bible, it's unscathed! God is good!" they instead say, "Hey, look at my life....look at the God who lives in me. Look at my body, it is weak and persecuted, and I don't have a bible, but the word of God is alive in me. God is good!" I'll never forget several years ago, I went to a spiritual retreat of sorts called Cursillo. It was a wonderful weekend spent in prayer, study, reflection and unplugging from the world. I remember being with some members of my group, when one of the girls I was with saw me highlighting and making notes in my bible. "I wish I could do that." she said. "You can." I replied. This young woman, who if I remember correctly was gearing up to become a priest, was afraid to make marks in her bible for fear that she was desecrating a holy book. To her, the book itself was more important than the words it contained......the words that should be alive in us. When did making markings to better understand and apply the word of God become a sacrilege? I don't know.....but as I read through the comments people were making about the unscathed pages of this bible, I was made aware that there are clearly others out there that put the book itself in a place of high importance. Don't get me wrong, I love my bible......but as a tool. I remember having bought a new bible after I got married. With my newly-acquired surname, I had my name embossed in gold on the cover. But, since the bible was new, I had to transfer all my marking from my old bible to the new one. It took me a long time, but I wanted to have that information so that as I continued to study, I could apply the word to my life. But it was the saving truth of the words themselves, living in me, that were important......not the collection of cardboard, paper, and ink. So, go ahead....take my bible.....just give me the word. Perhaps what angered me the most, was that to non-Christians looking at this post and reading the comments, the focus wasn't on God's presence and faithfulness in our lives, it was on this book we were so happy to see intact. We Christians came across like a bunch of silly people that truly believed that God "saved" the bible from being consumed because the word of God (the physical book) simply, and matter-of-factly, could not be destroyed. Well, that's just silly.....of course it could. That's just science, which, by the way, God also designed. To claim otherwise in the name of God, just makes us look foolish, and the admittance of factual science does not in any way diminish our God or his power......so.....let's just cut it out already, shall we? One day, this whole earth is going to be consumed with fire, and guess what - every single bible on the planet will be burned right up with it. Generally speaking, I'm no book burner, but given the choice between the burning of bibles and allowing the living word to burn within my heart......I say, let the bibles burn. Let the connection to the book being stronger than the cherishing of the word, burn. Let the pedestal on which we place this physical book, burn. Let the attachment to this material thing that will most definitely perish one day, burn. Instead......let us hide the word away in our hearts. Let it pour forth from our lips. Let it be the meditation of our hearts. Let us live it out in our lives. Let us keep it within us... where it cannot, and will not ever be destroyed. I love my son. It's impossible to say how much. He is a part of me. He's always on my mind. When I think on this, I always try to remind myself that everyone is someone's baby. This idea is something that I remind myself of constantly. That jerk that cut you off in traffic? Someone's baby. That person at work that steals your lunch out of the fridge? Someone's baby. That annoying girl that always talks to you for 45 about stuff that you couldn't care less about? Someone's baby. No matter what you or I think of people, or what situations people find themselves in.....they are somebody's baby.....that means, there is someone that carried them.....changed their diapers.....watched them grow.....dreamt for them.....prayed over them.....there is someone out there who loves them more than anything on this earth and that someone would do anything for them. The bedtime routine for the toddler at our house is....sometimes anything but a routine. Usually, I'm so spent by the end of the day that bedtime becomes daddy's job. But, inevitably, I'm the one who gets summoned, and I end up laying with my little one until he falls asleep, which doesn't take long. It's sort of like daddy lays all the groundwork, and I come in and close the deal - we're a good team! As we lay, Josiah settles into his covers, clutching his stuffed animals and asks, "Prayers?" And so, we pray. I do most of the talking when we pray, stroking Josiah's hair as he slowly drifts off. We start out with the typical thanksgiving for all our blessings, and asking blessings on those we know and love who have specific needs, and then we pray more broadly, especially for the poor, the hungry, the sick, etc... But on this particular night, as I asked for blessing and help for those suffering, my perspective changed. I was no longer praying for random people out there who were struggling or suffering, I was praying for those people as if they were my own child.....and let me tell you, in an instant my prayer became more intense and more sincere. I wanted for these unknown, ambiguous people to be prayed for the way I would want my child to be prayed for.....the way I prayed for him. I became acutely aware of the fact that each of these people were someone's child.....and that we are all children of God....and as immeasurable as my love is for my son, how much more intense and complete and perfect is the love our heavenly Father has for us? I truly have a heart for the poor and hungry. Anyone who knows me knows this to be true, and I pray for them something fierce......But praying for them as people that are as precious to me as my own child........as people who are precious to God......it changed me. Changed my heart. I don't know them personally, but God does.....and he loves them.....loves them more perfectly than I could ever love anything, even my own child......and what is precious to Him, I must also cherish. Genuinely. So, when I pray, I don't rattle off things that I should pray for because it's the "Christian thing to do", I choose to consciously pray for things with the heart of a mother......I pray for people and ask for them what I would beg for my own child. If becoming a parent has done anything for me, it's this: It's given me a glimpse into the unfathomable love God has for us. I cannot conceive of a deeper love than the one I have for my son......and yet, there is one.....it's the love God has for me.....and for you. Learning to pray with that kind of love......is changing my prayers and the way that I pray them. It's changing the requests I bring before God and the bold sincerity with which I come to him. More than that, it's changing me and the way I look at others.....even when they cut me off in traffic, or have 25 items in the 15 items or less lane, or... just really really annoy me. Father, may I always see others the way you see them. May I always love them the way you love them. May I always strive to be more like you.....Amen. Welcome, and thank you for visiting my blog! Grab a cup of tea, and catch up with me as I do this thing called life and share my experiences as a Christian wife, mother, and musician.